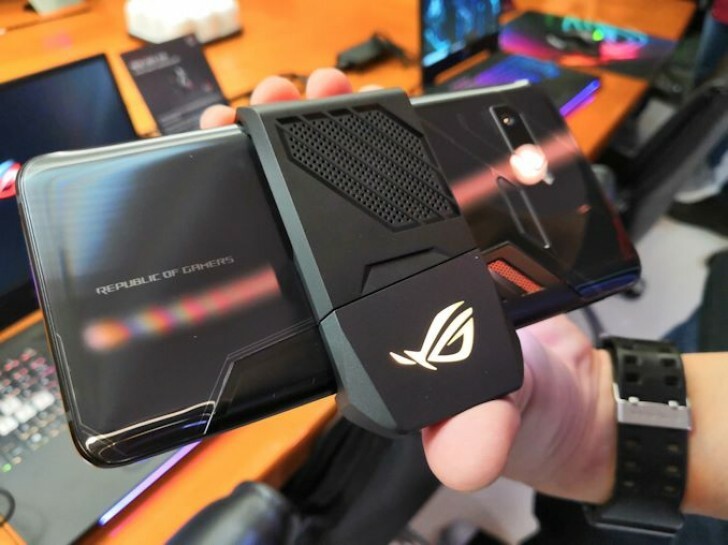 Asus took the wraps off its ROG Phone at Computex in June, and since then all we’ve seen about it were some rumors. Today the company finally unveiled the gaming device’s pricing. It will start at $899 in the US, with 128GB of internal storage. If you want the model with 512GB, you’ll have to shell out $1,099. The ROG Mobile Desktop Dock costs $229.99, the ROG TwinView Dock is priced at $399.99, the ROG Gamevice Controller will go for $89.99, the ROG WiGig Dock will set you back $329.99, the ROG Professional Dock is $119.99, and finally the ROG Phone Case is going to cost $59.99. the ROG Phone will go up for pre-order in the US on October 18, as previously hinted at by Asus. There still isn’t a release date to talk about, but at least you know how much time you’ve got to gather the cash for your pre-order. The Asus ROG Phone is the latest in a string of gaming-oriented smartphones. It comes with a specially speed binned Snapdragon 845, 8GB of RAM, UFS 2.1 storage, and a 6-inch AMOLED touchscreen with 90Hz refresh rate and 1ms pixel response time. The display has 1080×2160 resolution and 18:9 aspect ratio. It covers 108.6% of the DCI-P3 color gamut. The ROG Phone has a special ROG gaming UI on top of Android, a 12 MP + 8 MP dual camera system, an 8 MP selfie snapper, and a 4,000 mAh battery. The logo at the back has RGB illumination (because gamers just can’t live without that), and the rear of the phone is made out of Gorilla Glass.